I get so many people telling me how hard it is to get started. That things don’t just come easy for them like it seems to for others. The truth is, it doesn’t come easy for anyone. It looks easy because you are looking at masters of their craft. They have already struggled, you just weren’t there for it. For something to be easy, you have to put in the work. You have to overcome the adversity that comes along with that personal growth. That doesn’t mean you have to sit in a corner and beat yourself up until you get it right. Instead, you can seek out someone who has already been there. You can get their advice, and uplevel your skills even faster. 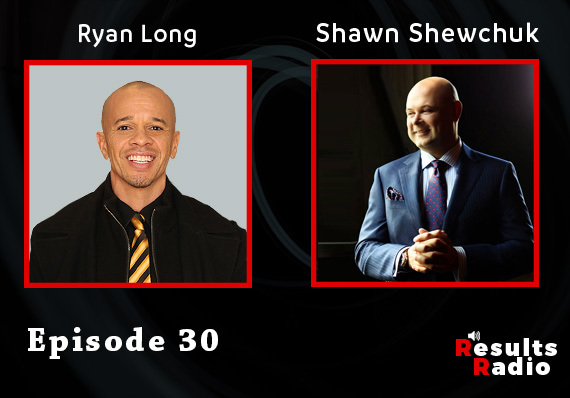 On this episode of Results Radio, I bring you someone who has dedicated themselves to helping others boost their skills no matter what industry they are in: Ryan Long. Ryan is an entrepreneur and speaker who came from a troubled and impoverished background. He suffered through abuse from his birth father, his stepfather, and even bullies. He grew up with a dream to be more, and started by owning his own nightclub in Hollywood. Although it changed his life financially, Ryan felt unfulfilled. He felt the need to do more to help the world. In 2014, Ryan started the City Gala in order to assist startups obtain seed funding so that they could launch into a full fledge business. The idea was to bring highly visible, and influential individuals to speak on behalf of the charitable organizations, and attract large donors and sponsors. Download this episode of Results Radio today and learn about City Gala, and how you too can overcome adversity to make success look easy. It’s not about the money – it’s what money can do for you. People have a hard time making decisions because they don’t know who they are and why they want what they want. I am someone that was put here for a reason. The easier something appears means someone mastered overcoming adversity. Our entire life adversity is thrown at us. Become a compulsive learning machine. We should always be adding value to those we interact with. Remain steadfast and flexible in your goal.